I got an email a week or so ago, asking if I would be interested in a loan of a Cricut Mini and access to The Craft Room, to do a review. At first I said No thanks, because I never bought into the Cricut due to how limited it is, being tied to only their carts, but then I thought Why Not? It might be interesting to have a look at the machine and particularly the online Craft Room, to put it through its paces. After some assurances that I could be completely honest in my review and was not expected to spin it, I said OK. It arrived yesterday. I’ll probably do a few posts on this, as there is A LOT I want to try, but let’s begin with the ease of set up and a few simple test cuts. It was, in fact, an absolute breeze to set up and get cutting. As a Mac user I’m used to some degree of jumping thru hoops with things that are not native to the Mac, but this was quick. The fact that I already had my old Cricut installed meant that all I had to do was unplug it, plug in the power and download the installation software. Note the time. The software walks you thru the steps – well, it should do anyway. I got to a point where it wanted me to load the cutting mat but even when I did it refused to accept that fact and the only way I could move forward was to quit and begin again. I think THAT might have resulted in me being unable to load the Craft Room app into my Applications folder and then drag the icon to my dock for easy access. I can make it run from the download but it isn’t as seamless as it could be. I suspect if I take the time to uninstall it and re-install it I might be able to sort it, but I can live with it the way it is, as it’s a short-term loan, not something I get to keep. Anyway, there is a little video to watch (and others available via The Craft Room online), and that was interesting, until it crashed at 3:41. As I am familiar with cutters in general there wasn’t anything that I felt I was missing by not seeing all of the video. Again, the video issues could be down to me, the Mac, the old OS, my browser…. I just carried on. I should note that unlike the other Cricut products, there is no keypad, no overlay, no way to trigger a cut that I can see OUTSIDE of the Craft Room app. There is a place to plug in the cart, so you can register it in Craft Room. Because I am not interested in plugging in one of MY carts and registering it, I can’t tell you if you DO whether you can then cut any image from your registered carts without actually having the cart plugged in at the time. It seems to be that way but I can’t find it stated that clearly in the FAQ. What the FAQ DOES say is that you can do the design and if you don’t want to register the cart in Craft Room you can still insert the cart to cut the design. I can see issues with that, depending on how it works – if I wanted to cut a complex design that used images from 3 carts, would I be inserting the cart then removing it to insert another cart, cutting that bit, then needing to insert ANOTHER cart to finish off? Will there be something that makes you insert the actual cart in the future to ensure you still own it and haven’t registered the cart then sold it on? I seem to recall this being an issue with the Gypsy – people have linked carts then sold them on, not always telling buyers they would be unable to then link that cart to their own Gypsy. 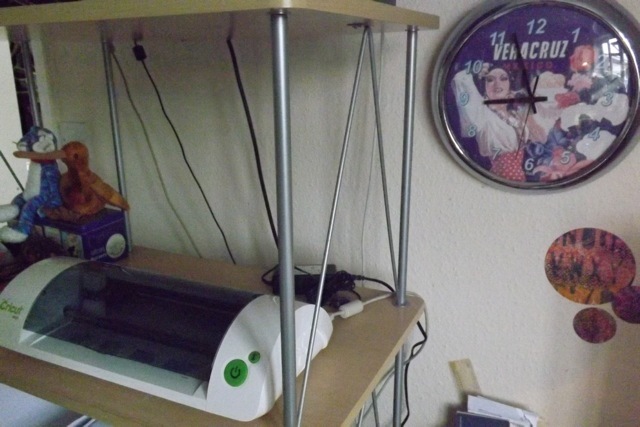 So if you have bought a second-hand cart that the previous owner linked to the Gypsy or indeed to the Craft Room, is that cart then “dead” to you in anything other than a stand-alone Cricut machine? Certainly worth knowing, but also worth considering if you have a lot of second-hand carts! Do you really want to have to buy them all over again just to use the Mini and Craft Room? 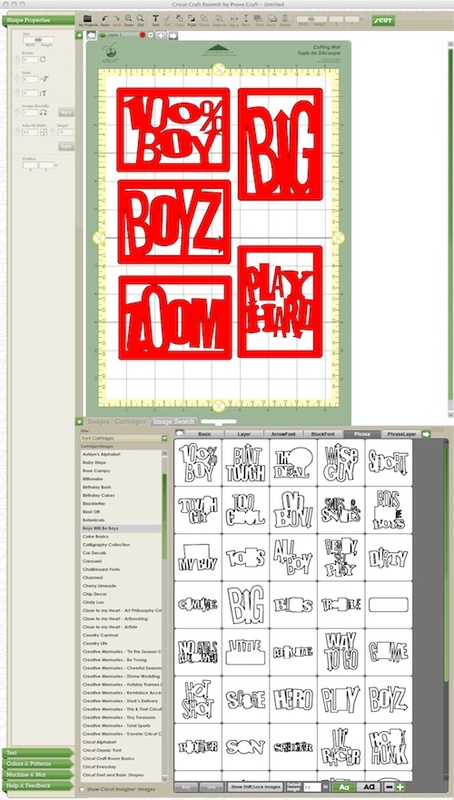 On the plus side, so long as you have an internet connection and have registered your carts in Craft Room, it seems you have access to all the images – you can design and cut on the fly via Craft Room anywhere. 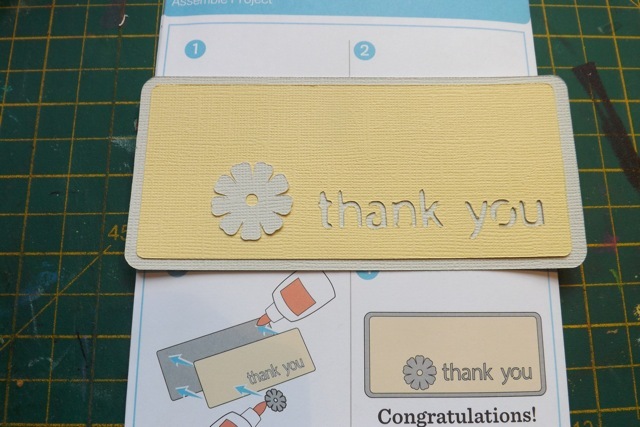 The Mini comes with a few little cards with step-by-step instructions for cutting a sample project. Easy as pie. 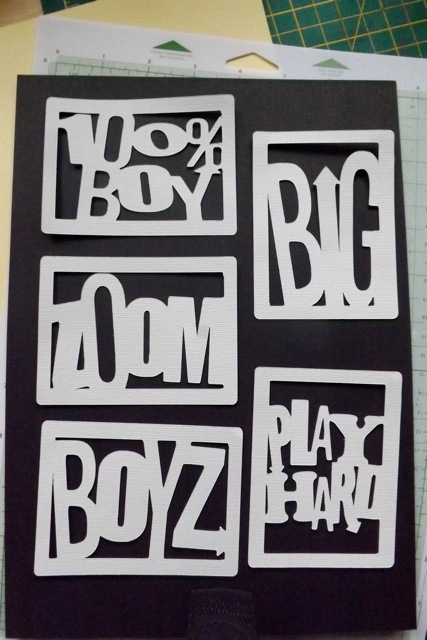 I used the cutting setting they specified and while the final piece was good, I didn’t feel the tiny letters it cut out were all that well cut. Maybe it was the textured cardstock. After cutting the sample project, I decided to have a go at welding (grouping) letters/words to create a custom title. Easy as dragging the letters so they touched and making sure WELD was ticked. and note the time. That was all it took, including downloading the installation software, creating an account on The Craft Room, watching the video, reading the cards, everything. Not too bad. I decided to try something that is probably the greatest selling point of The Craft Room – the ability to use the images from different carts on a single project. There is a search function, so you can search across the carts. That is genius. I spent, I kid you not, HOURS, just browsing through all the images in all the carts. There is a TON of stuff. 1000s of images. To be fair most of them aren’t to MY taste – I am unlikely to ever want to cut little duckies or fairy princess stuff – but there are still a ton of lovely images that I WOULD use. But to browse to find a plain old rectangle, when you simply are not familiar with the carts and their contents at all? I would go mad. Instead I just typed rectangle into the search bar and then had a screen of things to choose from. I have to admit that a HUGE part of how overwhelming the image library was and why I liked this so much was my temporary access to the entire library of images for the purposes of doing a review. Had I only been able to use the three or four carts I actually OWN, or been forced to BUY virtual carts (more on that later) if I wanted to use an image I didn’t already own, I think I would have been a lot less enthusiastic. I simply loaded up the rectangle, and the Boys will be Boys cart, then welded the basic version of the title blocks within the frame. Sizing them to 3 x 4 (for, yes, you guessed it, Project Life sleeves) then using the arrows to stretch the title so the letters made contact with the frame, then welding them into a single unit took seconds. Truly. It cut fast and I love how they turned out. That was just the beginning. There is so much more I want to try. I have this for a couple of weeks so I will be throughly thrashing it, testing out every little thing I can think of, and will report back anything interesting, distressing or startling. But even with just a half day of play I already know there are some things that I like, some I don’t, some that irritate me. The library of images is HUGE. The fact you can now just buy access to a cart via Craft Room means you get instant access to what you need. That has its own issues, See below. You have access to all the carts, even the out of print ones. What I am struggling to find is if you can buy just a single image from a cart or if you have to buy the entire cart. The BUY option is grayed out when I am in Craft Room as it’s a demo login, so I can’t tell if I could buy just one image. 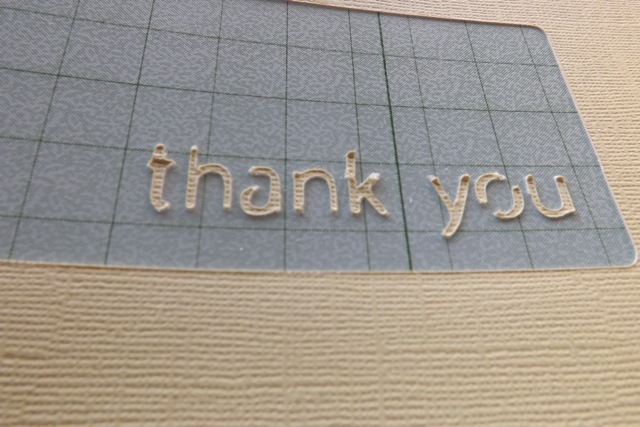 the virtual mat, so you can place cardstock exactly and cut a three layer image in a single pass, using scraps of card. You can save, and export your projects for other users to download OR download projects created by other users. BUT you will still need to buy the carts in order to be able to cut them. The multi-layer option. You can group images on layers, and while I have not played enough with that YET, I know it is going to be useful. I cannot seem to quite work out the WELD properties. Sometimes welding something works, but occasionally something will weld so it removes part of the image. I’m not aware of having done anything different to make that happen, so I can’t say if it’s a glitch or something I did. with BIG images, it takes forever for something to happen. I was building a large (filling the page) lace image from multiple pieces and it took (I kid you not) 5 seconds to scoot one element over one click of the right arrow. Yes, I timed it. But was that my machine or Craft Room? No way to know. It can also be very slow when you are working with a single image with a large number of cutting lines. And a mat full of elements, even single ones. that I can’t break apart the images into their core elements. You can only use the images grouped. So if you like part of a design you can’t use just that part. OK so here is the bottom line: If you have ALREADY bought into the Cricut way of doing things, that you can only cut their images, from their carts, can’t export the files in anything other than their proprietary software, then I believe you will like the Cricut Mini and the Craft Room software. It’s easy to use, pretty intuitive in that what you THINK you need to do to get something to happen is usually what you DO have to do. If you had SCAL, Craft Room looks a lot like that. There are a TON of images. Seriously. After maybe 3 hours of browsing I feel like I only scratched the surface, but you still need to buy every one you want to cut. They make a it a “feature” that you can design with any element in the library but I see that only as a frustration, a tease – Oh look, lovely images, design away – now put your hand in your pocket and BUY them. That makes perfect sense from a business POV but I would tick MY CARTS only so all I could see is what I can use. If you are happy to buy virtual carts, that you don’t actually OWN (you have access to them via Craft Room, but it’s not like you can sell them if you sell your machine) then you may see the appeal of instant access, of not having to wait for them to be back in stock at your local shop. It’ll be interesting to see if the price of a virtual cart is the same in the US and the UK – we are so used to things being so much more expensive because to the shipping etc. but with a purely digital version that shouldn’t be the case, right? Right?? Who knows? The email I got says the Cricut Mini is available for £129. Would it shock you to see it available from Amazon.com in the USA for $80.95 (that’s £50.98 according to my currency converter) and at Amazon UK for £120 and available via Amazon Prime with free shipping? Have a Mini? Use Craft Room already? Feel free to add your thoughts as a comment. Next up, using the Craft Room and the mini to cut stencils and masks. 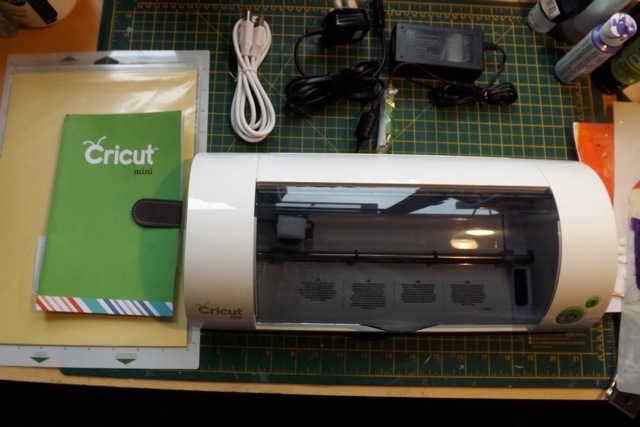 Categories: Cricut Mini, reviews | Tags: Cricut Mini, product review, The Craft Room app | Permalink.